London, Dec. 14 (ANI): A new classified footage of US fighter jets engaging an unknown aircraft above Arizona skies on the night of one of the world's most famous UFO sightings in March 1997 has recently made its way to the internet. 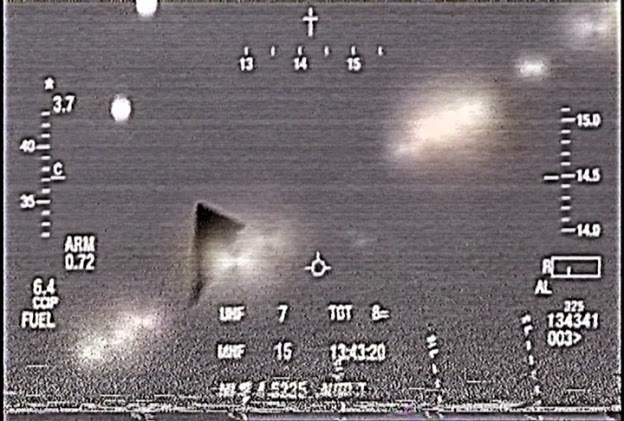 The 14-second clip, which was obtained by investigate journalist David Collins, was posted on YouTube and shows American military aircraft on patrol during the Phoenix Lights sighting of March 13, 1997 when a series of lights were spotted above Arizona's state capital, the Mirror reported. The Phoenix Lights were seen by thousands of Arizona residents but 17 years on what exactly happened remains a mystery; however, the US military 's official explanation claimed the lights were flares from their aircraft.